It’s hard to scrape food into the garbage, isn’t it? Doing it just feels wrong. Do the following descriptions resonate with you? I was taught from a young age not to waste food, so I finish my plate whether I’m hungry or not. There isn’t much dinner left in the pot; it’s hardly worth packing up for lunch tomorrow. I’ll just finish it. Several years ago I came across a poster from the Government of Canada highlighting different strategies to reduce food waste during World War II. One point they emphasized was to throw excess food out! I was shocked to hear them encourage throwing food out during wartime. It explained that eating more than necessary wastes food just as much as throwing it out. I found it rather poignant that during a time of great uncertainty, the government encouraged people to eat according to their needs, and no more. Now think about this… food can be wasted in more than one way. Where would you prefer excess food to go, in the trash bin or stored in your body as fat? Even better, the Government of Canada figured out decades ago that MORE food is wasted when we eat too much instead of throwing it out. Take a World War woman (Wanda) as an example. Wanda likes to make a smoothie for breakfast everyday. She usually blends up a whole glass. Most days she finishes 3/4 of it, and then realizes that she’s pretty full. But smoothie doesn’t keep well, and she doesn’t want to waste it, so she just finishes it. This happens every day; she drinks the whole smoothie, whether she’s actually hungry for the whole thing or not. Then one day Wanda sees a Government of Canada poster about throwing out food. The next morning she decides to listen to her body’s fullness cues and respect them by NOT finishing the smoothie. It’s a struggle to do something that she’s always been taught not to, but she actually throws a quarter of the smoothie out. It doesn’t feel right, and the next morning that feeling sticks with her; she remembers that she had to throw some smoothie out the day before, and proceeds to make a smaller smoothie. She finishes the smaller smoothie and feels full. From that point on Wanda continues to make the smaller smoothie size each day, realizing that it’s all she needs on a regular basis. Occasionally it isn’t quite enough to fill her up, but that’s okay. She keeps an apple and some nuts in her purse as a backup. If Wanda’s smoothies were one cup in size beforehand, she now saves a quarter cup per day. Over the course of a month, she saves at least seven cups of smoothie! Maybe it’s time for you to reevaluate the way you think about throwing out food. From a dietitian’s point of view, I can tell you that it’s healthier to store excess food in the trash can, instead of on your body. We often take our cue to stop eating from external sources, like finishing our plate. The best way to know when to stop eating is to take a cue from the messages your body is telling you! 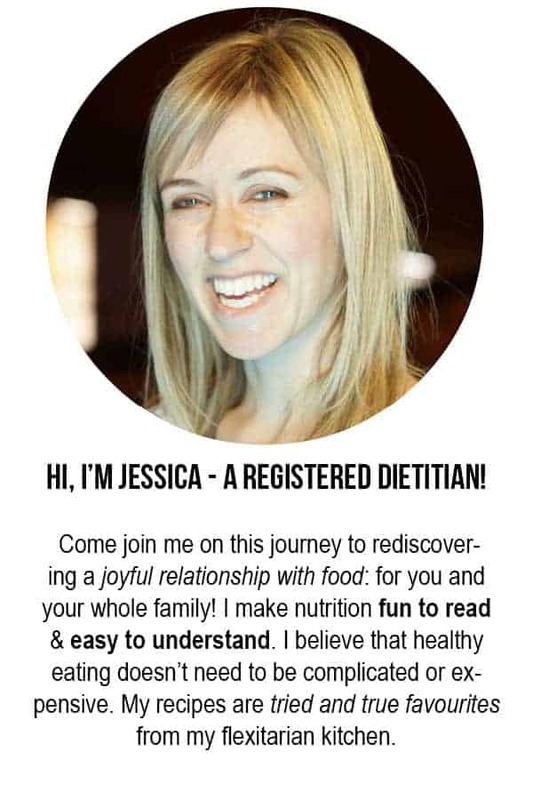 But most of us have stopped listening to our internal cues for regulating our eating. The good news is that you CAN get back in touch with them! 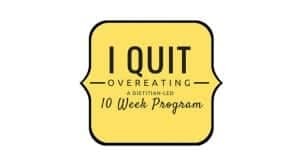 If you want to learn how, check out my 10 week online program called “I Quit Overeating.” Over the course of the program I’ll walk you through the steps to change your attitude towards food, and your habits and environment that are causing you to overeat. A new session starts soon! This is great! That story illustrates your point so well. 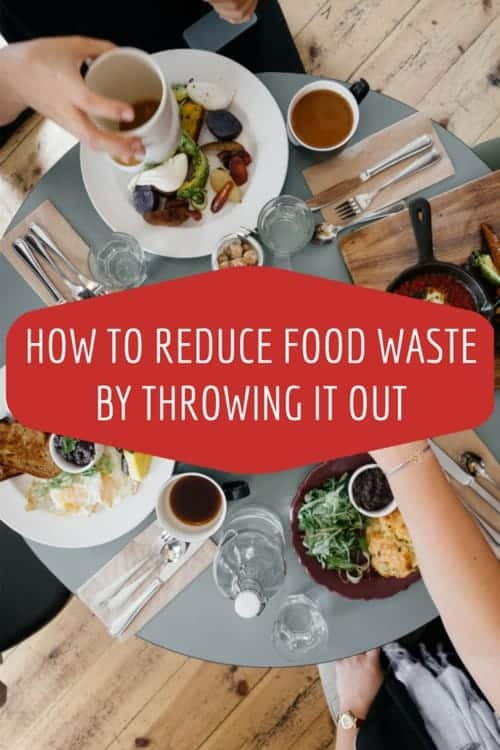 If we don’t want to waste food, sometimes it’s better to throw it out and see what you are wasting and to prepare a little less next time. Our bodies don’t need to be trash cans either. That’s a very poignant remark: “our bodies don’t need to be trash cans!” Love it! Such a common sense concept! We live in such an excess culture that I think we forget to be okay with the concept of “just enough”. Nowadays the Goldilocks tale would need to be adjusted to read that she would take the Papa bear portions of everything to keep up with having the biggest and most rather than what is just needed! oooh! I love the Goldilocks reference! That story has such a good message in it! I definitely see the benefit of looking at food waste from a different perspective. I think it’s definitely important to eat less. On the other hand, why not just put the extra food in the fridge? It may not taste as fresh as the day it’s made, but leftover food is definitely still edible. Even if we only had a small amount of food left, we always stored it when I was growing up. That way, we only ate what we could and didn’t have to cook every day.